Mobile e-commerce (or m-commerce) software helps companies selling online provide better experiences to consumers who prefer to shop using their mobile devices. E-commerce companies use this type of software to create custom mobile apps that are personalized based on their industry or the kinds of consumers they target. 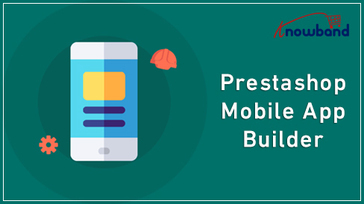 M-commerce is used mostly by e-commerce professionals and sometimes by marketing departments to ensure that the apps follow the branding guidelines of the company. This type of software should not be confused with mobile versions of e-commerce solutions. M-commerce should allow users to create new apps, not just customize existing ones. Mobile development software only qualifies for this category when it includes functionality specific to e-commerce. Mobile E-Commerce reviews by real, verified users. Find unbiased ratings on user satisfaction, features, and price based on the most reviews available anywhere. Shopgate is the leading mobile commerce platform. We develop customized mobile websites and native apps for online shops, optimized for iOS and Android, with simple integration to all major eCommece platforms. In a world that's addicted to mobile, shoppers expect simple, powerful, fast small-screen shopping experiences. We spend every day dedicating ourselves to building a product and services that allow merchants to provide their customers with exactly that. Our goal is simple – to boost business for online stores with increased conversion rates and revenue. Beyond these goals, our app solutions provide merchants with a powerful customer retention tool that converts one-time mobile web browsers into long-term app users who return to buy again and again. Our apps feature industry-leading conversion tools such as mobile checkout with Apple Pay, mobile coupons, push notifications, iOS Spotlight Indexing, order tracking and QR scanners. More than 12,000 merchants in five countries use Shopgate. Our mobile optimized platform guarantees speed, increased conversions, and higher customer satisfaction and retention over a standard mobile template or responsive site. Convert your Shopify Store into a native Shopify mobile app and engage with your Customers on the go. CedCommerce, the official channel integration partner to Walmart, Sears, and NewEgg, brings your Shopify Store yet another, fantastic, sales boosting Mobile application. Get it from here. - Android Pay Ready - Apple Pay Ready - Credit Card Enabled Our pricing plans are the easiest, and the best you can find! Only $20 per month for a custom, native Android/iOS app for your Shopify Store. Unlike some other app makers, we don’t increase our prices as your sales increase. And our prices are the lowest you can find anywhere. In fact, take the app for free. 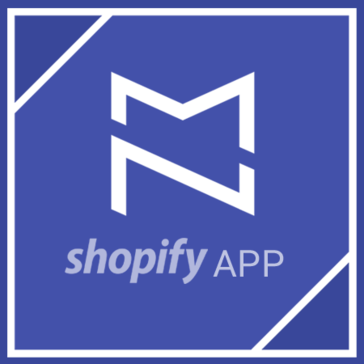 Here is exactly what happens when you sign up to work with us: - You place your order for the MageNative Shopify application. - The order is processed, and you install the application in your store. - You open up the app and submit your customization requirements to us, along with your brand logo. - Your native, personalized android/iOS app is ready to be published within 6 hours to 1 business day of submitting the requirements. - Powerful features that make your Shopify app complete, and a pleasure to use. - Delectable and beautiful user Interface! - Our beautiful interface ensures that your user interface is state of the art, and maintains the uniformity of the shopping experience. - Wishlist - With this native app, your customers can add products to wish list if they want to check products later. - RTL support - If your audience speaks languages like Arabic, Urdu or Hebrew, RTL compatibility takes that into account. - Clever marketing tools - The app comes with in-built tools that allow your customers to invite their friends to download and use the app. - Single Page Checkout ensures lesser cart abandonments - Our single page checkout ensures that your customer can check out quickly through a single page interface. - Product Search - Your customers can easily search for the products they are looking to purchase. - Product Sorting - With Sorting, the customers can apply the desired filter to arrive at the possible set of products they are looking for. - Address Listing - Your customers can easily save the addresses where they want product to be delivered. - Social Signup - Enables customer to register themselves easily just by using their Google or Facebook accounts. - Push Notifications: With our push notifications feature, you can reach your customers anytime, anywhere. - Awesome Analytics: Our integrated analytics service ensures that you always know what’s happening around your store. And much more! Mobile is the medium of the future, and we want to ensure that you exploit it to grow! Native app development can cost you anywhere around thousands of dollars! However, we have perfected and streamlined the process until, we can build your custom, native app for free! Some of our satisfied clients include: Swissbotany RnDAccessories Kwakus Costumeish Here is what you get, when you install our app: - Unlimited number of push notifications. - Expert support available at your beck and call, round the clock. - Instant synchronization between your app and Shopify Store. - Work with an eCommerce major that has over 10,000 customers across the world. - Customized native applications for Android/iOS/Both. - And of course, a lot more conversions and sales. Coming Soon: - Support for Android Watch. - Support for Apple Watch. - The app has a free, 30 day trial for everyone -- meaning absolutely zero risk to you. Install it today, and we promise you will never uninstall it! Install now, and build your Shopify Store into a BRAND. Apptuse Go enables merchants to make superior quality mobile apps. Apptuse also empowers customers from multiple verticals like Celebrities, Musicians, Authors, NGOs, Photographers, Bloggers, Universities, Filmmakers, Small Businesses to go mobile, with no technical knowledge required. Contus M-Comm, a readymade framework that lets you create and manage mobile app for your ecommerce store. It enables you to build mobile commerce applications in Magento and all other major eCommerce platforms. Further, Contus M-Comm is a native solution and it lets you deliver an uncompromising user experience. Dynamicweb is an online business platform that includes web content management, e-commerce, and digital marketing. Exporthub revolves around the mission to make business operations easier than ever. ImpowerTM gives you all the tools and services you need to manage smarter customer engagement. Easily converts your Shopify store into an app, and get it up and running in a matter of days. Create fully native Android and iOS applications for your Magento 2 e-commerce store. These apps can be published on Google Play Store and Apple App Store with the real-time synchronization of products, categories, customers, orders, etc between webshop and mobile app. From the mobile app, a customer can browse products, place order, view order details, create new account, write reviews, move items to wishlist, and do much more. MobiGen mobile shopping solution, to reach customers, cash on delivery system, revenue tracking dashboard, and order management. Plobal Apps is a comprehensive AI-powered mobile commerce platform, which enables online stores to scale mobile revenues, increase conversions and boost retention using fully native mobile apps. We believe in automating the entire mobile commerce using cutting-edge technologies including artificial intelligence, machine learning, voice-enabled reporting and more. Poq is a Software-as-a-Service platform that empowers enterprise retailers to create highly effective and fully customised native apps in record time. Apps that allow them to build stronger brands, sell more of their products, deepen customer loyalty and deliver highly relevant content, communications and rewards. Our platform is the result of years of focus on retail apps and is proven to increase conversion rates and revenue. New code is rolled out every week and major releases delivered every quarter. Clients include some of the world’s largest brands and retailers, such as; Tobi, Belk, PrettyLittleThing, Missguided, Fragrance Direct, Oasis, Warehouse, House of Fraser, OKA, Holland & Barrett and MADE.com. PredictSpring is a mobile commerce platform designed exclusively for brands and retailers. A Versatile e-commerce application allows you to manage as single vendor or multi vendor with all functionalities packed to provide an ultimate online shopping to customers. Our solution is crafted to cover entire online business processes along with excellent admin control features. Your Online business is redefined! Tap2Trade is an exclusive & on-invitation B2B e-commerce Mobile & Web Application. T-APPZ is a platform that steers mobile commerce worldwide. 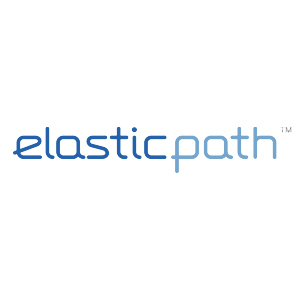 It presents the best user experience in a safe and optimized way to e-commerce companies at every scale. With UX analyses we do regularly, you will save your time to create the best application. Unbound connects the mobile customer experience you want to the e-commerce engines you are using to run your business. WompMobile is a SAAS platform that converts websites to Accelerated Mobile Pages and Progressive Web Apps – helping clients grow their revenue on mobile. Hi there! Can I help you find the best Mobile E-Commerce solutions?